We found it only appropriate that we bring back Big Time Magazine just in time for the opening of RELIC's new solo show "KUYA". 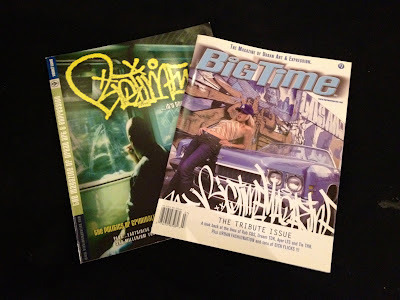 RELIC and TEMPT started Big Time Magazine back in the day, documenting some of the best graffiti from the earlier days. 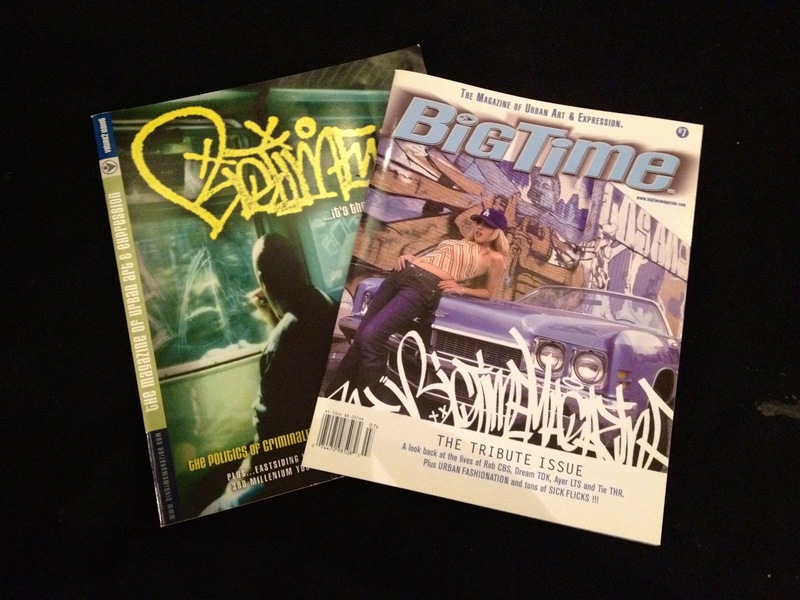 Starting tonight, we will have available Issues 6 (2000) and 7 (2001). If you ask, we may be able to get other issues for you too. Each classic will be available for $15 each or $25 for two. If interested in purchasing online, email us at info@crewest.com.